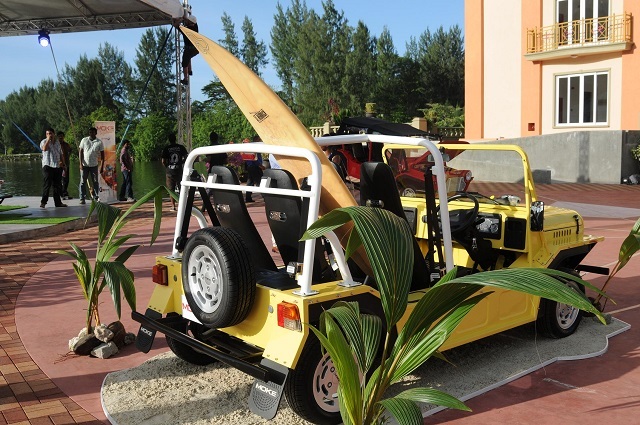 (Seychelles News Agency) - Many of the Seychelles’ 90,000 inhabitants who are old enough to have driven in one in the 80s and 90s will probably remember the Mini Moke fondly: the feeling of zipping along the islands’ winding roads, the cool wind whipping through your hair on a hot day and the sensation of total freedom. It was the perfect small island vehicle – popular both with tourists and locals alike, always ready for a trip to the beach or to pick up some friends along the way to a party. But after they were discontinued in the early 90s and parts became increasingly scarce, mechanics had to become more like magicians to try and fix the ailing vehicles. The ageing Mokes would often give up trying to climb a treacherous mountain incline, belching black smoke and leaving their occupants to hitch a ride and seek help, usually with a sympathetic former Moke driver. Slowly but surely, the Moke began to disappear from the roads of Seychelles. 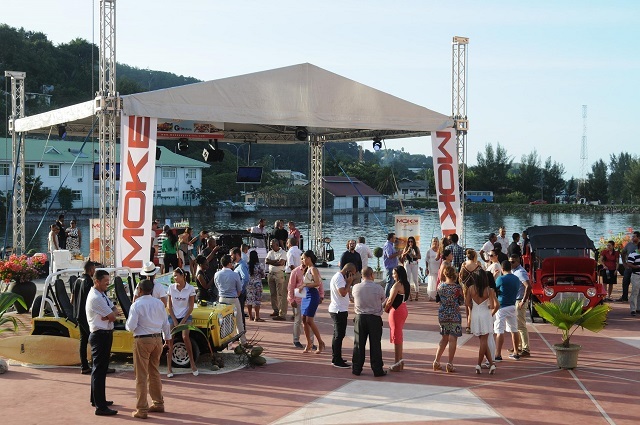 But now in 2015, Moke lovers will be able to reignite their youthful driving passion in the Seychelles with the availability of an all-new Moke, and this was celebrated on Friday evening at an official launch ceremony organised by local car dealers GN Motors, which recently signed on to become the agent for Moke International and revive Moke fever in Seychelles. 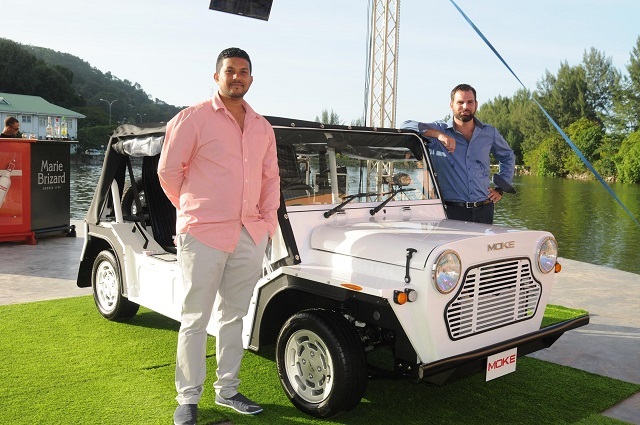 The new dealership, headed by Seychellois entrepreneurs and car lovers Gregory Albert and Nichol Chetty, hopes to bring the iconic vehicle back into vogue in the Seychelles. With more than 50 years of history, the Mini Moke was once one of the most recognised cars in the world. Originally designed in the UK as a light military vehicle in the style of the American Jeep in 1963, the Moke was packed in crates to be dropped from the sky in parachutes. The following year it was subsequently rebranded commercially as a low-cost, easily-maintained utility vehicle. It had the most success as a beach buggy, becoming somewhat of a cult vehicle in Australia, the United States and small island nations in the Caribbean and the Seychelles until due to mass overproduction, manufacturing stopped completely in 1993. 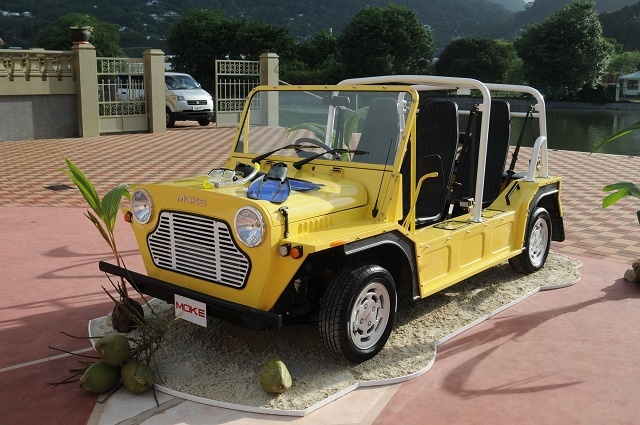 A few years ago Moke imitations were imported into Seychelles from China which had sub-par technical standards. Drivers often faced problems with spare part availability, repair and maintenance and consequently the Moke's reputation fared badly. Fast-forward to today, and GN Motors is raring to restore the image of the Moke as a fun and most importantly reliable utility vehicle. 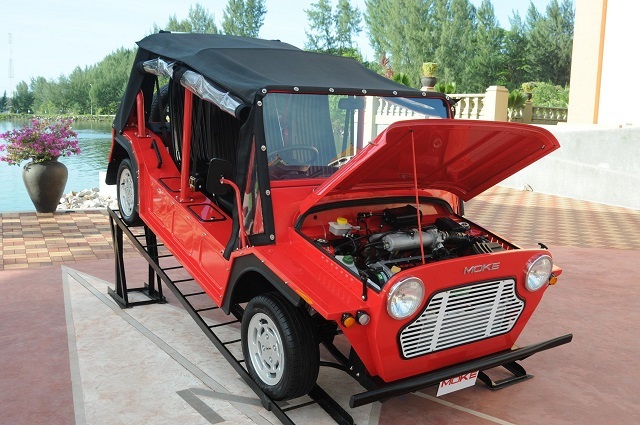 In 2012, Moke International teamed up with renowned industrial designer Michael Young, Chery Automotive and Sicar Engineering to release a new version of the Moke which maintains its classic old look but features modern-day comforts and improved components. Although the Mokes are assembled in China, the company is headquartered in Australia, which specifies strict standards and quality control. This is the model that is now available in Seychelles, produced according to stringent international safety regulations. As a boutique automotive manufacturer, all Mokes are made with careful attention to detail. The new Moke has the same classic design but with modern manufacturing for improved performance and sustainability with all-new features such as power steering, improved suspension, a waterproof radio and USB player, a lockable trunk and even a car alarm. Seychelles is not the first country to be supplied with the revamped vehicle as Moke International has already begun international distribution to some Caribbean islands such as St Kitts & Nevis, St Barths and Mustique, as well as destinations such as Thailand, Egypt and the UAE, according to an email interview with Danielle Peters, International Distributor Consultant for Moke International. "Moke International has taken initiative to undertake the enormous project of bringing the much loved Moke back to life. This is a project that was entered into out of sheer love for the lifestyle that the Moke brand represents and it has been a journey that has taken nine years to get to this stage," Peters told SNA. Peters also said it was Moke International's intention to keep the Classic Moke design as close to the original for as long as possible. "Obviously with anything thing there will be slight changes after our first year and we will look forward to producing a fun vehicle that will help people around the world enjoy driving with the wind in their hair and the sun on their backs. You can’t help but to smile in a Moke or when you see one drive by. We can’t think of a better reason to keep this very special vehicle around for as long as we possibly can." 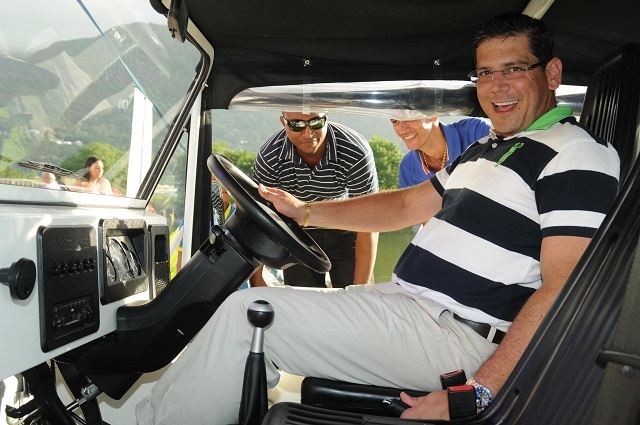 The Chairperson of the Seychelles Chamber of Commerce and Industries (SCCI), Marco Francis, told SNA that he was never an owner of a Mini Moke, but that didn't mean he had no fond memories of them. "Back in the days of the mini Moke I was still at school but I knew people who owned them and was able to ride in them," he said. "The Moke was a synonym of being alive and being free." Francis obviously relived those wild and free moments when he sat in the driver's seat, as evidenced by the look of joy he had on his face. "When we were developing tourism in Seychelles, that was the means of transport that was used," he told SNA. "Bringing back the Moke therefore means bringing back part of the tourism culture where visitors are able to drive around the scenic countryside while enjoying the fresh air and the sea breeze and being free. That is what a holiday should be all about anyway," he said, adding that he was very happy to see two young entrepreneurs such as Albert and Chetty venturing into the car dealership business with this approach in mind. “The Moke is something loved equally by locals and tourists, a part of local history, which is not the case for all cars,” he said, adding that their initial market research with tour operators and car hire companies indicated a high demand for the Moke from tourists. 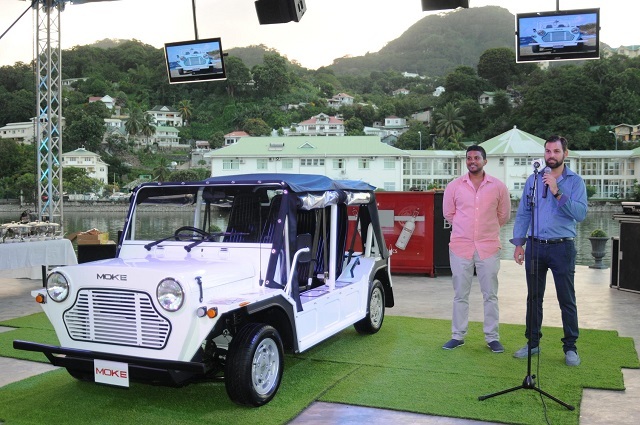 “This is an exciting opportunity for car hires as tourists are always asking to rent a Moke,” Sophia Chetty, owner of Aventure Car Hire on Praslin, told SNA at the Moke unveiling. Keen for a low-maintenance vehicle that provides optimum access to the sun, sand and fresh air, many car hire operators feel that adding the Moke to their fleets will set apart their business from the rest. GN Motors provides a one-year warranty, or up to 25,000 km to all buyers. Even after the expiration of the warranty, GN Motors will offer in-house services for repair, even to the older models if the new spare parts suit the older surviving Mokes on the island. Moke International is currently working on creating different models, and it’s expected that an automatic transmission version will be ready by the end of September this year. The company is also currently working on a prototype for an electric Moke, expected to be released by the end of 2016, which could be an interesting option for the Seychelles in light of the country’s efforts to promote the use of electric vehicles. There are also plans to release a pick-up variety of the Moke with no seats at the back, to suit those with higher utility needs, and a six-seater version of the vehicle. Currently there is only one model, the Classic Moke, which comes in seven fun colours; green, white, yellow, blue, orange, red and black. The manual unit retails at 320,000 Seychelles rupees, or about $23,800, inclusive of VAT. No longer seen as a low-budget vehicle, the new Moke bears the price tag of an iconic car with the technical specifications to match, but it still remains to be seen if the public will be able to afford the new version.